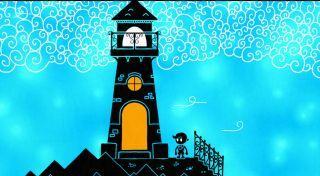 Hue is the debut project from Fiddlesticks—a lovely-looking intuitive puzzle platformer that featured at this year’s PC Gamer Weekender. Fret not if you missed it there, as it’s likely to show its face a little more between now and its newly confirmed release date of August 23. Donning the role of the titular protagonist Hue, you set off to locate your missing mother who is a colour theory researcher in an otherwise dull and monochromatic world. Picking up fragments of her research along the way lets you gradually learn to perceive and alter colour—a mechanic which in turn allows you to overcome the game’s obstacles. Beyond this neat spin on the Metroidvania concept, Hue promises a “heartfelt story” as well as 30 original and exclusive music tracks. Add that to its striking art style and it might be onto a winner come the end of the month. Furthermore, Hue also includes full colour blind support, using symbols as colour aids. Hue is due to launch on August 23 via Steam for £11.99/$14.99/€14.99.